Equestrian Canada’s coaching program is developed in partnership with the National Coaching Certification Program (NCCP), the Coaching Association of Canada (CAC) and Sport Canada. Equestrian Canada is one of 67 sports participating in the NCCP, which represents coaching excellence in Canada. 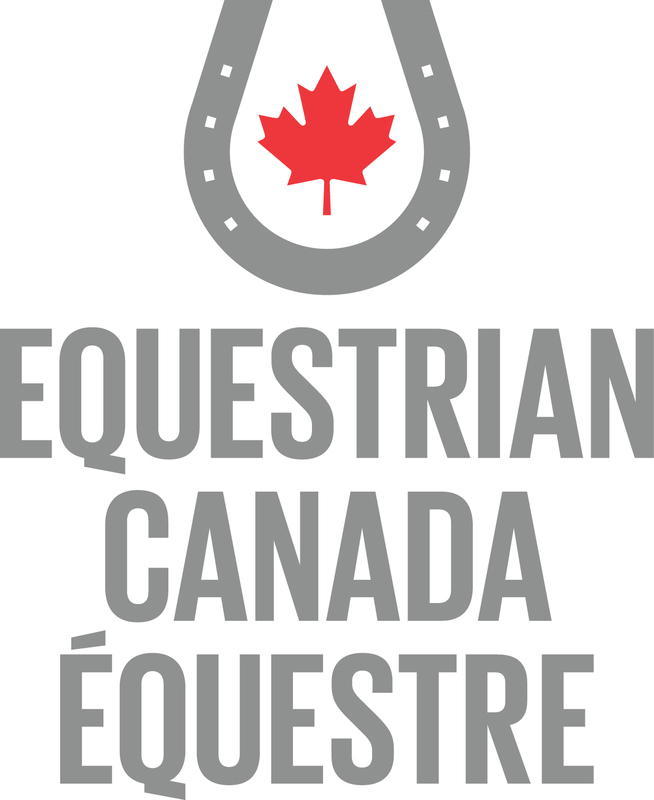 The Equestrian Canada / NCCP provides coaches and instructors with the tools necessary to make the equestrian experience safe and enjoyable for all equine and human participants, and to develop excellence in horsemanship. Developing equestrian athletes is a secondary result of good coaching and instruction over time. Whatever your level of participation as an equestrian, the goal of the program is to provide you with the best possible experience and an optimal learning environment. Whether you or your child are starting out, enjoying equestrianism as a leisure activity, or you are competing, there is an EC coach or instructor certified who specializes in working with participants at your level of ability. As in any sport, athletic accomplishment, and teaching or coaching are separate skillsets. In equestrianism, horsemanship (ability to work with /train the horse) is a third area of competency. Being a good athlete or accomplished trainer does not necessarily give a coach/instructor the skills for being an effective teacher and coach. Equestrian Canada certification recognizes the coach/instructors’ teaching and coaching skills as meeting professional, and internationally recognized standards for coaching practice. 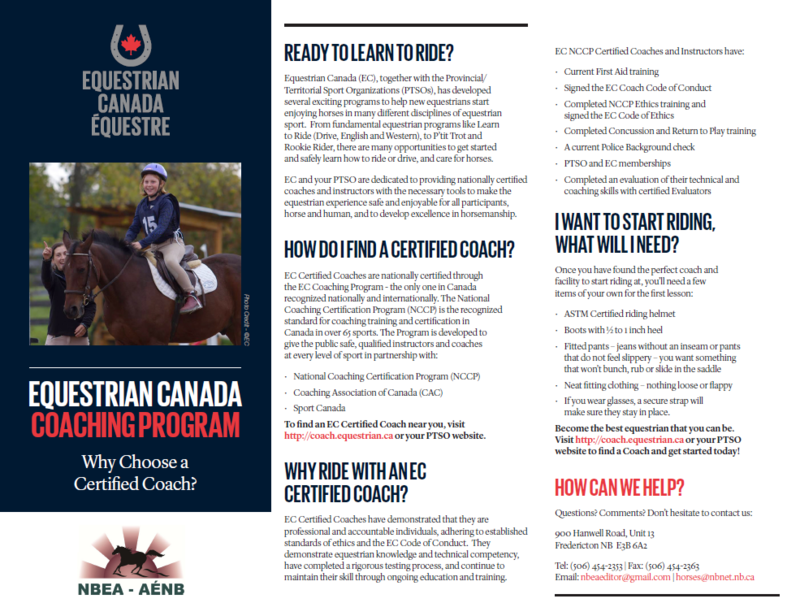 The EC coaching program is the only Canadian equestrian coaching and instructor certifying program also recognized internationally (FEI, IGEQ), and by Coaches of Canada and the Canadian Olympic Committee. The EC coaching program is the nationally recognized certification program for equestrian coaches and instructors. Obtaining and maintaining certification as an EC coach or instructor testifies to the coach/instructor’s professionalism and competence as a teacher in equestrianism. To obtain a certificate initially, candidates are evaluated at the highest national standard, and must provide evidence of riding ability, a cleared Police check, adherence to the Equestrian Canada code of ethics, and a current First Aid/CPR certificate. A coach or instructor who maintains their certification is a professional who is actively involved in the equestrian community and maintains currency through regular professional development and First Aid updating. To remain actively certified, coaches and instructors must maintain a current First Aid/CPR certificate, current police check, and relevant insurance.